Who would be anywhere but England in a heatwave ? And where, in England, could be better than Goodwood – one of the most beautiful racecourses in the world – during Glorious week ? Never could the adjective commonly attached to the week have been more appositely applied. And whilst Churchill’s dictum on Champagne – that in Victory it’s deserved; in defeat, required – was as true as ever as we made our scorching way back from the betting stalls, never was its cool qualitiy to refresh, too, more in evidence. 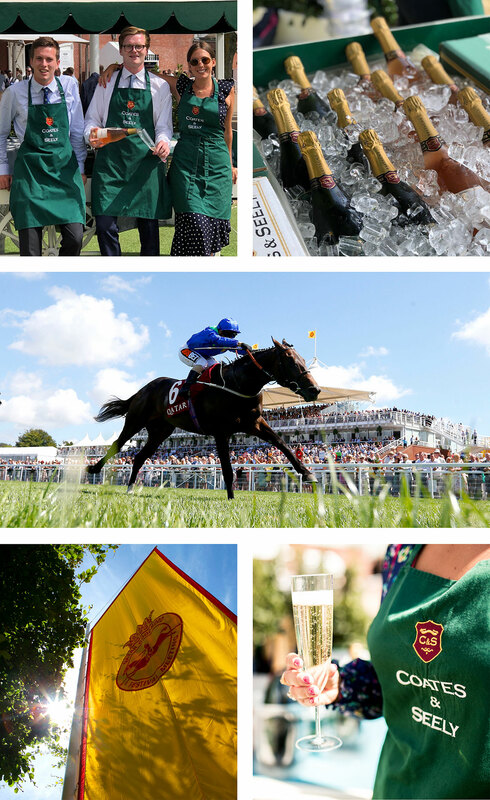 Corks popped continuously throughout the week, in greater numbers than we have ever seen, with Coates & Seely and Veuve Clicquot at the heart of this great British tradition of racing and style.